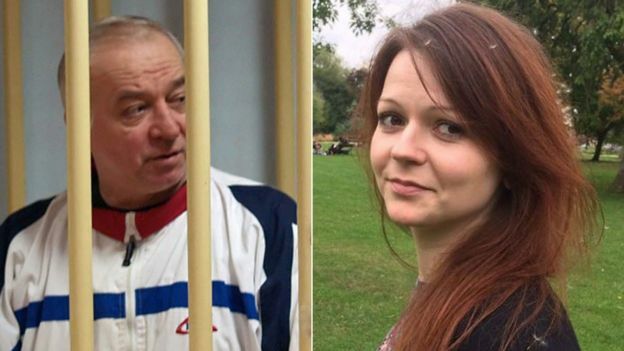 Russian spy: Nerve agent ‘used to try to kill’ Sergei Skripal. Now what? The really interesting question in the recent poisoning case in the UK is not if the Russian Government is implicated – it looks highly likely (see below) – but why they would perform such an act now. When trying to understand the context, two factors are key in our view. Firstly, Russia is in an expansionist phase, constantly testing the resolve of the West to resist it. Recent examples are many and varied. Russia is firmly in the camp of rogue state in terms of its murderous support of the Assad regime in Syria, as it seeks to expand its influence in the Middle East. It continues to agitate against the Ukraine, maintains a threatening posture against the newly independent Baltic states, and threatens the USA with a “new generation” of nuclear missiles. Secondly, Putin is up for re-election. He is a populist “strongman”, and that’s why his rule is virtually unchallenged, although factions within the ruling elite in Russia do exist, and jockeying for power in the event of any departure by Putin is constant. In this, Russia has hardly evolved from the days of communist control, or frankly, the Tsars. Viewed in this light, the murder of a minor spy who has been quietly living in the West for some time – which would be re-reported in Russia, of course – serves two purposes. It tests the West’s resolve to resist brazen Russian aggression without risking an armed conflict. Second, it makes Putin look tough. Again. Foreign Secretary Boris Johnson thus faces a serious test. If the attempted murder (or it may turn out to be a triple murder, depending on the health of those most affected) turns out to be very obviously to be laid at the feet of the Russian State, what is an appropriate response? Will the British worry overmuch about the unpleasant despatch of a spy – deaths in that arena happen constantly, of course – and the unfortunate collateral damage of a Wiltshire policeman? Or will they make a lot of huff and puff and do nothing much? Our money is on nothing much. Perhaps a few diplomats expelled and a strongly worded note. The British economy – especially the City of London – increasingly depends on the growing petro-dollar and gas-dollar influx of funds “washed” through banks and finance houses in London. And funds from less obvious sources inside the Russian kleptocracy. Putin knows Britain wouldn’t want anything to upset that, especially when complications from Brexit means those funds could easily get switched to other markets. So this event tests how brazen Russian behaviour can be before any real damage is done to the relationship. Ordinarily, of course, the Brits would turn to their American colleagues for advice on how to handle this latest “Beast from the East” event. (The “Beast from the East” was the nickname given to the recent blast of cold air from Russia that dumped snow everywhere.) But given the inordinately close relationship between Putin and the Trump administration, we feel it is unlikely that Britain will turn there for help and advice. And relations between Britain and the EU aren’t exactly rosy just now either. Putin is, unlike his American counterpart, a highly calculating man. We believe he may be testing the UK right now simply because it is increasingly isolated and left to its own resources. Simply to see what happens. How Johnson responds will be fascinating to watch. A police officer who was the first to attend the scene is now in a serious condition in hospital, Assistant Commissioner Mark Rowley said. Nerve agents are highly toxic chemicals that stop the nervous system working and shut down bodily functions. They normally enter the body through the mouth or nose, but can also be absorbed through the eyes or skin. Mr Rowley, head of Counter Terrorism Policing, said government scientists had identified the agent used, but would not make that information public at this stage. “This is being treated as a major incident involving attempted murder, by administration of a nerve agent,” he said. Two other police officers who attended the scene were treated in hospital for minor symptoms, before they were given the all clear. It is understood their symptoms included itchy eyes and wheezing. The announcement by the police that Sergei Skripal and his daughter Yulia are the victims of an attack in which a nerve agent was used makes the parallel with the poisoning of former Russian spy Alexander Litvinenko in London in 2006 even stronger. Like the radioactive polonium used to kill Litvinenko, a nerve agent is not normally something criminal gangs or terrorist groups can make. Instead, it is usually manufactured by specialist laboratories under the control of governments – and that inevitably means suspicion will now be very much focused on Russia. Not only does it have a track record of using poisons to assassinate its enemies, there is also a motive in the case of Sergei Skripal. As a military intelligence officer in Russia, he betrayed his country by providing information to MI6, reportedly revealing the identities of Russian agents in Europe. And Russian President Vladimir Putin has in the past indicated that traitors deserve to die. Although the question remains, why would Mr Skripal be attacked now when he has been living in Britain for eight years and came here originally as part of a spy swap? Mr Skripal, 66, and his 33-year-old daughter were found slumped on a bench outside the Maltings shopping centre. Police want to speak to anyone who was in the city centre on Sunday afternoon. They are particularly keen to hear from people who ate at Zizzi or drank in The Bishop’s Mill pub between 13:00 and 16:00 GMT. Both of those locations remain closed to the public. There is also a cordon in place outside Mr Skripal’s Salisbury home. A yellow forensic tent has been erected and police have been seen carrying equipment into the building. Mr Rowley said hundreds of detectives, forensic specialists, analysts and intelligence officers were working round the clock on the case. The investigation in Salisbury may take several more days, he added. Prof Malcolm Sperrin, fellow of the Institute of Physics and Engineering in Medicine, said: “Symptoms of exposure to nerve agents may include respiratory arrest, heart failure, twitching or spasms – anything where the nerve control is degraded. A public inquiry concluded the killing of the Russian dissident Alexander Litvinenko in 2006 was probably carried out with the approval of President Putin. On Tuesday, Foreign Secretary Boris Johnson told MPs the UK would respond “robustly” to any evidence of Russian “state responsibility” in the Skripal case. Russia has insisted it has “no information” about what could have led to the incident, but is open to co-operating with British police if requested. Russian Foreign Ministry spokeswoman Maria Zakharova said foreign media had used the incident as part of an anti-Russian campaign. “It’s a traditional campaign. The tradition is to make things up. We can only see it as a provocation,” she said. 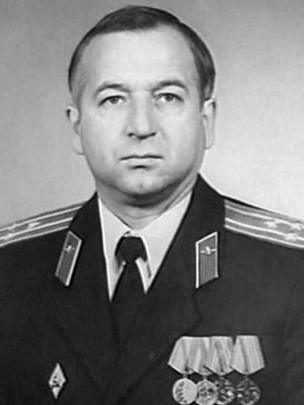 Colonel Skripal, a retired Russian military intelligence officer, was jailed for 13 years by Russia in 2006. He was convicted of passing the identities of Russian intelligence agents working undercover in Europe to the UK’s Secret Intelligence Service, MI6. In July 2010, he was one of four prisoners released by Moscow in exchange for 10 Russian spies arrested by the FBI. After a Cold War-style spy swap at Austria’s Vienna airport, Col Skripal moved to Salisbury, where he kept a low profile for eight years. Martin McGuinness. IRA Commander and Peacemaker, dead at 66. Whatever you think of Martin McGuinness, or of his remarkable journey from senior IRA commander and reputedly Army Council member to Deputy First Minister in the Northern Ireland government, one thing is clear. He was engaged in secret peace discussions with the British Government from 1972 onwards. And there is little doubt that, along with Gerry Adams, McGuinness was instrumental in turning the Republican movement away from continued violence and towards political engagement. He was a man driven in his eyes to violence, who came to reject violence as a political tool. What is also certain is that without him, in all probability, Ireland and Britain would still be mired in violence over the future of the six counties. He took huge personal risks for peace. His critics, he said were afraid of change. “They would love the IRA to go back to war. I’m delighted that we have not fallen into this trap. “I’m delighted that we have an organisation which understands the political dynamics [of the peace process]. “There is a confidence and assertiveness among nationalists,” he continued. His republican credentials remained impeccable to his death. And ultimately, we all owe him respect for playing a fundamental – perhaps the most fundamental – role in stilling the guns. McGuinness was living proof that we really can – and sometimes do – beat the swords we grasp all too readily into ploughshares. Ireland is poorer for his passing. Everything you never realised you wanted to know about “The Twelve Days of Christmas”. “The Twelve Days of Christmas” is an English Christmas carol that enumerates in the manner of a cumulative song a series of increasingly grand gifts given on each of the twelve days of Christmas (the twelve days after Christmas). The song, published in England in 1780 without music as a chant or rhyme, is thought to be French in origin. The standard tune now associated with it is derived from a 1909 arrangement of a traditional folk melody by English composer Frederic Austin, who first introduced the now familiar prolongation of the verse “five gold rings”. In the earliest versions, the word “On” is not present at the beginning of each verse—for example, the first verse begins simply “The first day of Christmas”. “On” was added in Austin’s 1909 version, and became very popular thereafter. In the early versions “my true love sent” me the gifts. However, a 20th-century variant has “my true love gave to me”; this wording has become particularly common in North America. The 1780 version has “four colly birds” – “colly” being a regional English expression for “black”. The “five gold rings” may become “five golden rings”, especially in North America. In the standard melody, this change enables singers to fit one syllable per musical note. The gifts associated with the final four days are often reordered. For example, the pipers may be on the ninth day rather than the eleventh. In Scotland, early in the 19th century, the recitation began: “The king sent his lady on the first Yule day, | A popingo-aye [parrot]; | Wha learns my carol and carries it away?” The succeeding gifts were two partridges, three plovers, a goose that was grey, three starlings, three goldspinks, a bull that was brown, three ducks a-merry laying, three swans a-merry swimming, an Arabian baboon, three hinds a-merry hunting, three maids a-merry dancing, three stalks o’ merry corn. In the Faroe Islands, there is a comparable counting Christmas song. The gifts include: one feather, two geese, three sides of meat, four sheep, five cows, six oxen, seven dishes, eight ponies, nine banners, ten barrels, eleven goats, twelve men, thirteen hides, fourteen rounds of cheese and fifteen deer. These were illustrated in 1994 by local cartoonist Óli Petersen (born 1936) on a series of two stamps issued by the Faroese Philatelic Office. The best known English version was first printed in English in 1780 in a little book intended for children, Mirth without Mischief, as a Twelfth Night “memories-and-forfeits” game, in which a leader recited a verse, each of the players repeated the verse, the leader added another verse, and so on until one of the players made a mistake, with the player who erred having to pay a penalty, such as offering up a kiss or a sweet. One hundred years later, Lady Gomme, a collector of folktales and rhymes, described how it used to be played every Twelfth Day night before eating mince pies and twelfth cake (also known as “King’s cake). Salmon, writing from Newcastle, claimed in 1855 that the song “[had] been, up to within twenty years, extremely popular as a schoolboy’s Christmas chant”. “Twelve days of Christmas” was adapted from similar New Years’ or spring French carols, of which at least three are known, all featuring a partridge, perdriz or perdriole, as the first gift. The pear tree appears in only the English version, but this could also indicate a French origin. According to Iona and Peter Opie, the red-legged (or French) partridge perches in trees more frequently than the native common (or grey) partridge and the red-legged variant was not successfully introduced into England until about 1770. Cecil Sharp observed that “from the constancy in English, French, and Languedoc versions of the ‘merry little partridge,’ I suspect that ‘pear-tree’ is really perdrix (Old French pertriz) carried into England”; and “juniper tree” in some English versions may have been “joli perdrix,” [pretty partridge]. Sharp also suggests the adjective “French” in “three French hens”, probably simply means “foreign”. In the northern counties of England, the song was often called the “Ten Days of Christmas”, as there were only ten gifts. It was also known in Somerset, Dorsetshire, and elsewhere in England. The kinds of gifts vary in a number of the versions, some of them becoming alliterative tongue-twisters. “The Twelve Days of Christmas” was also widely popular in the United States and Canada. It is mentioned in the section on “Chain Songs” in the Motif-Index of Folk-Literature (Indiana University Studies, Vol. 5, 1935), p. 416. There is evidence pointing to the North of England, specifically the area around Newcastle upon Tyne, as the origin of the carol. Husk, in the 1864 excerpt quoted above, stated that the carol was “found on broadsides printed at Newcastle at various periods during the last hundred and fifty years”, i.e. from approximately 1714. In addition, many of the nineteenth century citations come from the Newcastle area. The result of the Brexit vote, before voting starts. We have a habit, Dear Reader, of predicting elections (and referendums are a bit like elections, aren’t they?) BEFORE the result is known. We do this for a number of reasons. When we get it right (which is almost always – although some would argue we didn’t pick a majority for the Tories at the last British General Election, whereas we would argue we did flag it as at least a possibility) we like to stick it up those less perceptive types who think we know nothing – childish, we agree, but very satisfying – and also it’s just plain fun to try and get it right. Everyone’s gotta have a hobby, right? We have said, all along, ever since the referendum was announced, that Leave will not win. Our reasoning was and is very simple, and quite different to all the other reasons advanced by pundits. In the EU referendum, in our view, the Leave campaign have done an excellent job of ramping up xenophobia and leveraging generalised disgruntlement in the electorate. They have worked on crystallising the anti-politics fever that seems to be gripping most Western democracies, as people rail against the admitted inadequacies of representative democracy. We see it everywhere – the visceral hatred from some for President Obama, the embrace by Trunp by those in America who feel themselves disenfranchised by “Washington”, the rise of the far right in Denmark, Austria, France and Russia, the apparently unresolvable divide in Thailand, the growth of micro parties and third parties in Australia, (reportedly about to push towards nearly 30% of the vote at the July 2nd poll), and so it goes on. Brexit has leveraged this angst effectively through a ruthless application of rabble-rousing. In our view the support for Brexit – which has risen by between 5-10% over the last 12 months – is at least as representative of a general mistrust of the establishment as it is a reflection of genuine anti-EU sentiment. In this context, the EU is just the establishment writ large, and the Leave campaign knows this, and has presented it as such with commendable, if amoral, consistency. By choosing the wayward buffoon Boris Johnson, the plainly odd Michael Gove, and the determinedly esoteric and individualistic Nigel Farage as their lead acts, Leave have presented themselves as the natural anti-establishment choice. But despite Leave’s efforts, at least 14% of the British electorate still report themselves to the pollsters as “Don’t knows”. Abut 5 million people entitled to vote in the referendum apparently haven’t got a clue what they think, despite literally years of coverage of the matter. One has to have sympathy with them. Both sides in the debate have fudged statistics and relied on barbed soundbites rather than any serious appeal to the intellect to sway the electorate. There has been a deal of outright lying going on. In fact, this referendum has been an appalling example of the comprehensive trivialisation and failure of British political leadership, and almost no major player comes out of it with any kudos. Yes, there is a chance they are enthusiastically pro-Remain but don’t wish it to be known because they are frankly confronted by the aggression of the Brexit camp and yes there is a chance that they are enthusiastically pro-Leave but don’t want it known as they fear being painted as irresponsible. If either of those things turn out to be true then the winning margin will be much higher for one side or the other than is currently predicted. The current Daily Telegraph poll of polls has Remain leading Brexit by 51-49, having had Brexit ahead for at least some of last week. If those “undecideds” break very strongly one way or the other that calculation could be way wrong. When the dishes are all washed at the end of the night, we think they will break disproportionately in favour of the status quo, and also that a good proportion of them won’t vote at all. For that reason, we feel more comfortable with a prediction of about 55%-45% in favour of Remain, and if that turns out to be the result then everyone in the Chardonnay-sipping commentariat will throw their hands in the air and say “Well, what was all that fuss about? It was never really close, no one got that right!” Except we did. Today. Our second reason for making our prediction is that telephone polls overwhelmingly favour Remain by a bigger margin than the overall polling is showing, because online polling has the two sides much closer. As the chart above highlights, polls where people answer questions on the phone suggest higher EU support than polls conducted on the internet. Since the start of September last year, phone polls suggest a nine per cent lead for Remain, while online polls have it at just one per cent. Why would this be? Well, that depends really on whether one is a conductor of phone polls versus online polls. A lively debate has been going on between the polling organisations. In our view, it is because people respond differently in different social situations. They may feel more encouraged to speak their mind to a real person, for example, or exactly the opposite, they may feel less free to state their views. They may be more inclined to tell the truth when clicking on a survey question on a screen, or they may be more prepared to give a tick to something they actually don’t intend doing when they get into the polling booth proper. There will be a difference between phone polls where you actually speak to someone and where you use your keypad to respond to recorded questions. Bluntly: polling is an inexact science. What polling does do very well is track trends accurately. On that basis, there has undoubtedly been a move towards Leave in the last two-to-three weeks, but it may well be that Leave support peaked a week early, as it now seems to be weakening again. It is as if voters walked to the brink of the abyss, had a look, and stepped back. If this turns out to be the case it will be promoted as a triumph of campaigning by the Remain camp, but that would be a mistake. It’s simply the innate fear of change kicking in again. It’s one thing to tell a pollster you are voting Leave when it doesn’t matter because Leave has no hope of winning. Quite another to tell them that when it appears you may carry the day. Two other factors, we believe, has bolstered the Remain cause. Tory, Labour, Liberal Democrat, Scottish Nationals and Green MPs immediately united to condemn the poster, accusing Mr Farage of ‘exploiting the misery of the Syrian refugee crisis in the most dishonest and immoral way’. Popular Scots Nats leader Nicola Sturgeon called it “disgusting”. Others lined up to condemn it as “reprehensible”, “vile”, and “quite revolting”. Even Farage ally Michael Gove said the poster made him “shudder” and Chancellor of the Exchequer George Osborne also aid the poster was “disgusting” and compared it to Nazi propaganda. Social media lit up with actual examples of the poster set against eerily similar Nazi propaganda from the 1930s to make the point. The poster will play well with the neo-racists, anti-immigrationists, Little Englanders and out and out racists that make up the majority of UKIP’s dwindling band of supporters. But that’s simply Farage shoring up support for his views amongst people who were never going to vote for Remain anyway. We strongly suspect that the majority of Brits, who are, at their core, a fair minded people, will recognise the poster for what it is – an intimation of what Britain would be like under a hard-right Government that could well follow a successful Brexit vote. We think a small but significant number of people will have moved back from Leave to Remain as a result. Our last reason for suspecting Remain will win with relative comfort is the near-universal shock we have observed over the death of Labour MP Jo Cox, who was callously shot down while going about her daily business, allegedly simply because she held pro-refugee and pro-EU views. This awful event has shaken the British people rigid. Attempts to wave off any connection between the shooter and far-right groups, let alone the Brexit camp, and to characterise him as merely “mentally disturbed”, have, it seems to us at least, failed. Just as the Farage poster offended the British sense of fair play, at least for some people, so the assassination of Jo Cox has driven home to many how divisive and ugly the whole EU debate has become. Families have descended into recriminations, lifetime friends have fallen out with each other, and there have been multiple examples of violent fractiousness from all over the country. The British people have now had more than enough of this unpleasant debate, which was foisted on them by a bitterly divided Conservative Party and a weak and vacillating Prime minister, and they heartily wish to be rid of it. Staring down the barrel at what could be years of a messy dis-integration from Europe starts to look like a very poor option to a majority. In 24 hours, Europe will be calmer again. With Britain inside it, and by then, presumably, permanently. Dear British person: this is YOUR pension that is vanishing. Brexit is bad for you. Today, the markets took a downward turn. It wasn’t in reaction to a terrorist attack or the threat of a war, but due to the Leave campaign taking the lead in the polls. This isn’t a conspiracy, this isn’t a part of Project Fear, these are real investors taking their very real money elsewhere because they’re worried that next Thursday Britain will make one of the biggest diplomatic mistakes in centuries. If you are British, don’t ignore the facts next Thursday – vote to remain a part of the European Union. Meanwhile markets all over the world are nosediving at the prospect. Real people, losing real money. Let us be clear – the Liberal Democrats just voted FOR Britain retaining nuclear weapons. In what has been hailed as the new Leader of the British Liberal Democrats “facing down” the activists in his party, the LibDems just rejected a motion calling for Trident to be scrapped. 2 for the Trident system is scheduled to be decided upon in 2016. 4 inappropriate and unhelpful to today’s needs. 6 over its lifetime, believing the money could be better spent. In line with our existing policy as set out in policy paper 112, Defending the Future – UK Defence in the 21st century (2013), and our recent General Election Manifesto, conference resolves to oppose like-for-like replacement of the Trident system as proposed by the Conservative government. 1. Commission a Policy Working Group to develop policy on the future of Britain’s nuclear deterrent, if any, following a full consultation within the party. a) A full assessment of potential strategic threats to the UK. b) Prospects for the promotion of nuclear non-proliferation and disarmament and the UK’s potential role in these efforts. c) The implications of a non-nuclear defence posture for the UK on conventional defence capabilities and the UK’s place in the world, including its contribution to the security of Europe through NATO. d) The scope for and implications of a scaled-down nuclear deterrent. e) Independent costings of options. 3. Bring a policy paper back for debate at Conference within 18 months, including if necessary options for conference to decide. So what (by a narrow margin) has the Lib Dem conference just actually decided? “Helpful and Appropriate” is rather in the eye of the beholder, one feels. Well, if one looks at the lines deleted by the “wrecking” amendment, one can now see that Conference decided by default that Britain’s possession of nuclear weapons IS appropriate and helpful to today’s needs. Yes, to be sure, the amendment opposes “like for like” replacement of Trident, but this was essentially just whitewash. What the amendment specifically allows for is Trident’s replacement by another nuclear weapons system. The clear implication in the terms for the future enquiry that is now proposed (which will, of course, be utterly irrelevant to the real world as it will take place AFTER the British Government makes it’s decision, a point that can not have escaped the understanding of those drafting the amendment) is that the UK’s place in the world will be somehow diminished by it not possessing nuclear weapons, and that its contribution to the security of Europe would be similarly diminished. in other words, in the event of external aggression to the continent of Europe, the party believes it would be a sensible option to drop nuclear weapons on Europe’s borders. Which leaves the party – now led by an evangelical Christian who says he would never launch the weapons if he had the choice – in the curious position for a supposedly radical party of supporting the idea of Britain independently attacking someone (presumably Russia) with weapons of mass destruction that would slaughter umpteen millions of innocent children, men and women civilians. The Liberal Democrats (of which the author of this article is a member, and has been a member, with a few stutters, over 40 years) is a party that has become largely irrelevant to the mainstream political process through a disastrous collapse of its support that shows little imminent signs of turning around, and which is generally full of nice, somewhat wooly-minded middle class people who largely think they sit in the middle ground of politics, full of rational discussion and mutual respect and eschewing the nasty tribalism of the left and right. Nevertheless, despite it’s historical weaknesses, and it’s current electoral nadir, the party has always played – and it would be good to think will continue to play – a useful national and international role as an incubator of good ideas, as provokers of attention to issues that other parties largely ignore, and of a group of people who are less hidebound by “that’s the way it’s always been done” than most. In the past, when it’s level of elected support was about where it is now, the Party nevertheless “punched above its weight” in this regard. The party also keeps alive an affection for ideals of political plurality, free speech, and individual liberty, both economic and social. But given the chance to dramatically play that role now by arguing that Britain should lead the stalled world disarmament process, what they have just done, in reality – because of the inexorable timetable for the Trident replacement decision – is actually to fall in lock-step behind a radical right-wing Conservative Government that would never consider Britain giving up nuclear weapons in a pink fit. As a result, they will now inevitably be outflanked on one of the most vital decisions facing the country in the coming little while by the new left-wing leadership of the Labour Party, and by the surging Scottish Nationalists, and will inevitably be seen by the public to be dithering over a crucial moral and strategic issue when the Government inevitably acts. The membership should be under no misapprehension: the Liberal Democrats just missed a huge opportunity to provide their party with the distinctiveness that they need if they are ever to reclaim any real degree of power at local, European and Westminster levels, and an equally significant opportunity to provide moral leadership to the multilateral disarmament efforts that the world has largely abandoned in recent years, which they would have achieved by stating “we do not need these bombs, we reject their use, we cannot afford them, and we will seek other ways to relate to the world around us”. Responsibility for those missed opportunities lies directly with the new Leader of the party, Tim Farron, and those with their hands on the levers of power inside the party who advised him to make this matter a “test” of his leadership, and then made that argument directly to members in a variety of ways. The speakers in favour of the amendment largely did not state their preference for keeping nuclear weapons clearly. One complete piece of intellectual dishonesty was an argument that the Ukraine had just given up nuclear weapons and been invaded (albeit in a very limited way) by Russia. So what exactly were those speakers arguing? That Ukraine should have attacked Russia with nuclear weapons? To have done so would not only have been ludicrously disproportionate, but would have invited an immediate and overwhelming response from Russia that would have obliterated Ukraine from the map. Which neatly encapsulates, of course, the complete pointlessness of spending 8% of your GDP on nuclear weapons, as Britain does. You can’t actually use them. Ever. Even in a real fighting war. There were also dark warnings about Russian expansionism, despite the fact that as we have shown with historic detail, the Russian action in Crimea was proportionate, discrete and nuanced. We have a lot of time for Farron, but we are disappointed and worried by his actions in this case. Shock and dismay at his position is already evident on the activist wing of the party, and he will need to somehow heal the breach he has now opened with those who were his most fervent supporters for the Leadership. What he and others clearly thought was if the party committed itself to disarmament of Britain’s independent nuclear weaponry they would be castigated as “irresponsible” or “too left wing”. Now they will be castigated as mere ditherers. Had they allowed the original motion to stand they would have been able to make the case for the scrapping of Britain’s nuclear weapons stockpile between now and when the decision will be made, putting useful light and space between them and David Cameron’s increasingly nationalistic and unpleasant Government. Such moral determination might just have ameliorated the Government’s intentions somewhat, although the idea that it would turn around their view in toto is probably fanciful and this writer would not argue that case. In reality, what the Lib Dems think or do at the moment doesn’t currently matter much more than a reasonably small hill of beans. But any decision to replace Trident made in 2016 will still be in its early stages of implementation by the time of the next General Election in 2020. That would have given the Lib Dems, along with others, four years and innumerable opportunities to win the national debate, and possibly the next election. But they squibbed it, and the party – chock full of new respectful members – let them. When the knife hits the throat of an Aussie flyboy – that’s when the rubber will really hit the road. If only he WAS going to be flying one of the jets, Abbott might not be quite so enthusiastic. In the last couple of weeks, we have watched dismayed as Australia has become perhaps the most gung ho of all the world’s nations waiting to wade in and “stop” IS – the so-called Islamic “State”. Let there be no mistake – we also think these appalling thugs need expunging from the world, and as soon as practicable. This rhetorical style has been echoed to a lesser extent by Cameron in the UK and the Republicans in America, especially the surely past-pensionable John McCain, but much less so by a carefully-nuanced President Obama. It’s almost as if Barack phoned Tony and Dave and said “Ramp it up a bit, will ya, cobbers? We’re a bit bruised over here and I have to be a more laid back.” Surely not? There’s no question that IS are pretty much the worst of the worst going round at the moment, but let us be absolutely clear what their murderous public tactics are designed to achieve. These are people playing a long game, who have no respect or care for their own lives or for others. They are trying to drag the democratic West, against which they have a visceral, systemic hatred, into a seemingly endless conflict in a war zone where the alliances and influences shift weekly, and where the sectarian divisions are about as deep as it is possible to find them. It’s virtually impossible to “pick winners” in this environment, because this week’s ally is last week’s mortal enemy. As even Abbott himself once presciently remarked about Syria, “it’s a choice between baddies and baddies”. We have already seen America co-operating with Iran and Russia to attack IS – both countries currently under sanctions and blockades from the West. We have seen America calling openly for Iran to aid in the fight against IS, despite the fact that they already are, a call that has been rejected by the top Ayotollah, despite the fact that this is exactly what they are already doing. We have moved from being a day away from air strikes against Assad in Syria (thankfully averted when it became clear that the gas attacks on the Syrian public were probably carried out by rebels, and perhaps that the White House knew that all along, and even allegedly that the rebels were deliberately encouraged to do so, under Western guidance) to now cautiously needing to support him against IS, which will lead to the partial abandonment of the non-extremist Syrian opposition, or what may be even more bizarre, the joining of Assad with his former enemies to create a newly viable Syrian state to defeat the IS and Al Nusra insurgents. How anyone is supposed to conduct a sane rational policy in this environment is beyond us. It’s a floating, shifting miasma of shifting lines, and we see no end to it. We are reasonably sure, though, that bellicose trumpeting is the least helpful thing we can do, especially as we have no idea how that plays amongst the general public in the contested regions. What IS knows is that in this confused environment, mistakes can and will happen. IS and their backers know that the first time a bunker buster hits a school in Mosul there will be a flood of worldwide sympathy from both within the Sunni Muslim community and without it, and there’ll be a fresh rash of recruits flooding to a simpler, less complex view of the world than that offered by democracy. The angst and confusion created by the Israeli bombardment of Gaza will be seen to be just a shadow of what’s going to happen in northern Iraq and parts of Syria. Indeed, the mistakes (and concomitant slaughter of innocent civilians) are already happening, even if they’re not being widely reported in mainstream media. Is there any question Bishop sees this conflict – and that with Russia in the Ukraine – as her chance to leap Turnbull and become Abbott’s most obvious replacement? We think not. Mind you, if we could win wars just with her “death stare”, we’d be home and hosed. She scares the hell out of us, wonder what she does to IS? But that’s only the half of it. We cannot deploy hundreds of Australian troops (and thousands of Americans) plus people from all parts of the globe, and not expect some of them to fall into IS hands. If we see that the road to war has been greased by the appalling executions of journalists and aid workers, not to mention the mass slaughter of civilians, Peshmerga and Iraqi army fighters, then imagine what will happen the first time video is released of a clean-cut Aussie or Yank fighter pilot or special forces hero having his head clumsily sawn off for the camera. The calls for “boots on the ground” would surely become irresistible, especially if a newly-bolstered Iraqi army makes no discernible progress in recapturing rebel-held areas, or in forming a more broadly based Government capable of yoiking together Sunni and Shia in a workable state. Having failed once to pacify Iraq, there is little doubt that we are very close to being dragged into the same maelstrom again, with a side serve of Syria and for all we know Lebanon and God knows where else as as well. We do not purport to know what the answer is – although one thing we cannot understand is why the Arab states, who are at least as much at risk from IS as anyone else, especially Saudi Arabia, cannot be prevailed upon to play a much more intrinsic role – perhaps they are so aware of the powder keg many of them sit upon that they dare not risk enraging them by sending ground troops to attack the Sunni IS as 85-90% of Saudis are Sunni – but as a start we could at least begin by not looking so goddamned happy to be heading off to war again. We are not alone in our caution, which frankly borders on despair. This excellent opinion piece by experienced Middle East hand Paul McGeogh in the Sydney Morning Herald deserves to be widely read. His neat skewering of the lack of Arab co-operation, the unseemly rush to attack and the lack of an exit strategy (yet again) is spot on, and echoes our own concerns. It seems to us that only those who have actually fought wars show real reluctance to engage in them again. That is rarely politicians, especially those who have spent their entirely career crawling slowly up the political ladder. Having seen the slaughter of innocents, the gore, the messy incompleteness of most military solutions, military men are almost invariably more cautious before setting off to the trenches once more. But politicians revel in the limelight. It’s that set jaw, that gleam in the eye, the grimly-expressed determination. Not a hint of doubt, or worry, or regret. Nothing is allowed to ruffle their seeming purposefulness. The prelude to war always looks to us like people with their egos way out of control about to play roulette with other people’s lives, and right now, it sure as hell looks that way again. There Are 7 Types of British Surnames — Which One Is Yours? Thanks to an interesting article published by Ancestry.com, we now know that many of us have surnames passed down to us from ancestors in Britain. Apparently, last names weren’t widely used until after the Norman conquest of England and Wales in 1066, but as the country’s population grew, people found it necessary to be more specific when they were talking about somebody else. Thus arose descriptions like Thomas the Baker, Norman son of Richard, Henry the Whitehead, Elizabeth of the Field, and Joan of York that, ultimately, led to many of our current surnames. They still name people after their profession in Wales. Our long lost but much loved cousin Roger, who started a life as the owner of a footwear business, was known universally as Roger the Shoe. Until he sold the shops and took up a smallholding, at which time he became, proudly, Roger the Pig. Apparently there are perhaps 45,000 different English surnames, but most had their origins as one of these seven types. Occupational names identified people based on their job or position in society. Calling a man “Thomas Carpenter” indicated that he worked with wood for a living, while someone named Knight bore a sword. Other occupational names include Archer, Baker, Brewer, Butcher, Carter, Clark, Cooper, Cook, Dyer, Farmer, Faulkner, Fisher, Fuller, Gardener, Glover, Head, Hunt or Hunter, Judge, Mason, Page, Parker, Potter, Sawyer, Slater, Smith, Taylor, Thatcher, Turner, Weaver, Woodman, and Wright (or variations such as Cartwright and Wainwright) — and there are many more. This kind of name also gave a clue about whom a servant worked for. Just adding an S to a name indicated a feudal relationship with someone else. So someone named Vickers might have been a servant to Mr. Vicker, and someone named Williams might either have served a William or been adopted by him. From the obscure fact department: in medieval England, before the time of professional theater, craft guilds put on “mystery plays” (“mystery” meaning “miracle”), which told Bible stories and had a call-and-response style of singing. A participant’s surname — such as King, Lord, Virgin, or Death — may have reflected his or her role, which some people played for their whole life and then passed down to their eldest son. Some names, often adjectives, were based on nicknames that described a person. They may have described a person’s size (Short, Long, Little), coloring (Black, White, Green, or Red, which could also have evolved into “Reed”), or another character trait (Stern, Strong, Swift). Someone named Peacock might have been considered vain, and so on. A last name may have pointed to where a person was born, lived, worked, or owned land. It might be from the name of a house, farm, hamlet, town, or county. Some examples: Bedford, Burton, Hamilton, Hampshire, Sutton. Writer Jack London’s ancestor, for example, probably hailed from London. Those descended from landowners may have taken as their surname the name of their holdings, castle, manor, or estate, such as Ernle or Staunton. Windsor is a famous example — it was the surname George V adopted for the British royal family to replace their original German name Saxe-Coburg-Gotha during World War I, because they had a home at Windsor Castle. Another Royal anglicised his name from Battenberg (a small town in Germany) to Mountbatten for the same reason. The Queen’s current husband, Prince Philip, also adopted the name Mounbatten, even though he was originally Philip Schleswig-Holstein-Sonderburg-Glücksburg. Quite a mouthful. Patronymic surnames (those that come from a male given name) include Benson (“the son of Ben”), Davis, Dawson, Evans, Harris, Harrison, Jackson, Jones (which is Welsh for John), Nicholson, Richardson, Robinson, Rogers, Simpson, Stephenson, Thompson, Watson, and Wilson. Matronymic ones, surnames derived from a female given name, include Molson (from Moll, for Mary), Madison (from Maud), Emmott (from Emma), and Marriott (from Mary). Scottish clan names make up one distinct set of ancestral surnames. These include Armstrong, Cameron, Campbell, Crawford, Douglas, Forbes, Grant, Henderson, Hunter, MacDonald, and Stewart. Anyone with these names has Scottish heritage hiding in their history somewhere. Some surnames honored a patron. Hickman was, literally, Hick’s man (Hick being a nickname for Richard). Kilpatrick was a follower of Patrick. We have a coat of arms. Nyah nyah. It’s three eagle’s heads rampant, or something or other. Mind you, like “naming a star”, we suspect everyone can have a coat of arms if they hunt on Google long enough … We know more than a few people who own one square foot of Scotland and thus have a legal right to call themselves Laird. Which isn’t far from Lord. Which is only one step away from being bumped up to business class on international flights. Yes, we’re onto you. And how the hell did we end up with the unusual name Yolland, Dear Reader, which we have been patiently spelling to people over the phone for half a lifetime? Well, originally this was a West Country Saxon name something like “Attenoldelande” which means “lives at or nearby the cultivated land”. There is some record of a family seat in Lancashire, and there is a Yolland Wood in Devon, near Plymouth. And that’s about it. So once upon a time, all the Yollands, Yoldelondes, Yelands, Yolandes, Yealands, Yellands, Yeolands, Yallands, Yellens and all the rest were … well, serfs, basically. Although they may have been free tenant farmers under a Saxon lord. But more likely serfs. Anyway, before we launch into more quotes from Monty Python and the Holy Grail, we simply note that our lineage has been around a very long time, and we have mud under our fingernails. Put brain in here. Scrub thoroughly. For years, I have been wracking my brains to tell people about a TV ad for whitegoods in the UK which I thought was utterly brilliant, in the way it used the brand name to drive home it’s core promise – which was durability. But while I could remember the brand name and the kicker 25 years or so later … Ariston … and on-and-on-and-on … I could never find the ad. Now, thanks to http://www.headington.org.uk/adverts/index.htm I have finally tracked down the lyrics. When you buy an Ariston Its guarantee is five years long, Last well past nineteen ninety-one … Ariston! And-on-and-on-and-on-and-on. One million French think they’re très bon, Half million Germans can’t be wrong, From Italia to Bri-ton, Ariston … And-on-and-on-and-on-and-on. Pure advertising genius. Enjoy. Better still, ask me to write you an ad as good as this. A chance conversation today on the ghoulish nature of people’s interest in public executions in years gone by reminded me of the case of Michael Barrett, the last man hanged in public in Britain. If for no other reason that he was very likely innocent. Michael Barrett (1841 – 26 May 1868) was born in Drumnagreshial in the Ederney area of County Fermanagh. He was the last man to be publicly hanged in England, for his alleged role in the Clerkenwell bombing in December 1867. The bombing killed 12 bystanders and severely injured many more. Barrett had positioned the bomb in a wheelbarrow outside the external wall of Coldbath Fields Prison in the belief that it would bring down the prison wall and allow Fenian prisoners to escape. Michael Barrett was 27 when he joined the Fenians, which, in the 1860s, was a political movement that dominated Irish politics and defied the Catholic Church and middle-class nationalists who advocated milder approaches. Thousands of Irishmen in both Ireland and Britain were recruited into its ranks. The Clerkenwell bombing was the most infamous action carried out by the Fenians in Britain. It resulted in a long-lived backlash that fomented much hostility against the Irish community in Britain. The events that led up to the bombing started with the arrest, in November 1867, of Richard O’Sullivan-Burke, a senior Fenian arms agent who planned the “prison-van escape” in Manchester a few months earlier. O’Sullivan-Burke was subsequently imprisoned on remand in the Middlesex House of Detention, Clerkenwell. On 13 December an attempt to rescue him was made by blowing a hole in the prison wall. The explosion was seriously misjudged; it demolished not only a large section of the wall, but also a number of tenement houses opposite in Corporation Lane (now Row) resulting in 12 people being killed and over 50 suffering a range of injuries. Public opinion, which had been sympathetic to the Fenians, soon turned against them. “calculated to destroy all sympathy, and to evoke the opposition of all classes”. The day before the explosion, the Prime Minister, Benjamin Disraeli, had banned all political demonstrations in London in an attempt to put a stop to the weekly meetings and marches that were being held in support of the Fenians. He had feared that the ban might be challenged, but the explosion had the effect of turning public opinion in his favour. Months earlier, Barrett had been arrested in Glasgow for illegally discharging a firearm and allegedly false evidence was used to implicate him in the Clerkenwell Prison explosion which occurred the previous December. In court, he produced witnesses who testified that he had been in Scotland on the date of the incident. The main case against him rested on the evidence of co-accused Patrick Mullany (a Dubliner who had given false testimony before and whose price was a free passage to Australia) who told the court that Barrett had informed him that he had carried out the explosion with an accomplice by the name of Murphy. Of the other 6 defendants, another was discharged as a police spy. After two hours of deliberation the jury pronounced Barrett guilty. “I am far from denying, nor will the force of circumstances compel me to deny my love of my native land. I love my country and if it is murderous to love Ireland dearer than I love my life, then it is true, I am a murderer. If my life were ten times dearer than it is and if I could by any means, redress the wrongs of that persecuted land by the sacrifice of my life, I would willingly and gladly do so”. Many people, including a number of Radical MPs, pressed for clemency. In Fermanagh, Barrett’s aged mother walked several miles in the snow to appeal to the local Unionist MP, Captain Archdale, a staunch Orangeman who rejected her. Barrett was executed outside the walls of Newgate Prison on 26 May 1868 before a crowd of two thousand who booed, jeered and sang Rule Britannia and Champagne Charlie as his body dropped. The night before both within the prison and without there had been jeering and mock-hymns, and jeering accompanied Barrett as he made his way to the gallows, the bells of Newgate and a nearby church tolling in the background. More police than was usual were in attendance, armed very visibly with cutlasses and revolvers because of the fear of Fenian action. Newspaper reports of the hanging vary according to their political standpoint. Some have Barrett dying without a struggle, others tell of his convulsions, protruding tongue and distorted features. The crowd was said to have been silent as his end came, respectfully removing hats at the moment of execution. After his death, as was customary, the hangman was also abused by the onlookers. The description of the crowd at the hanging in The Times the next day yields an unflinching and fascinating glimpse into the attitudes of the general public to such spectacles. It certainly seemed like a grim and tasteless affair. Huge crowds would gather for executions: a fact which caused considerable anguished hand-wringing in the educated classes who felt the spectacle undignified. The execution differed little from other similar exhibitions. On Monday the barriers were put up, and on Monday night a fringe of eager sightseers assembled, mostly sitting beneath the beams, but ready on a moment’s notice to rise and cling to the front places they had so long waited for. There were the usual cat-calls, comic choruses, dances, and even mock hymns, till towards 2 o’clock, when the gaiety inspired by alcohol faded away as the public houses closed, and popular excitement was not revived till the blackened deal frame which forms the base of the scaffold was drawn out in the dawn, and placed in front of the door from which Barrett was to issue. Its arrival was accompanied with a great cheer, which at once woke up those who had been huddled in doorsteps and under barricades, and who joined in the general acclamation. The arrival of the scaffold did much to increase the interest, and through the dawn people began to flock in, the greater portion of the newcomers being young women and little children. Never were there more numerous than on this occasion, and blue velvet hats and huge white feathers lined the great beams which kept the mass from crushing each other in their eagerness to see a man put to death. The crowd was most unusually orderly, but it was not a crowd in which one would like to trust. It is said that one sees on the road to the Derby such animals as are never seen elsewhere; so on an execution morning one see faces that are never seen save round the gallows or near a great fire. Some laughed, some fought, some preached, some gave tracts, and some sang hymns; but what may be called the general good-humoured disorder of the crowd remained the same, and there was laughter at the preacher or silence when an open robbery was going on. None could look on the scene, with all its exceptional quietness, without a thankful feeling that this was to be the last public execution in England. Towards 7 o’clock the mass of people was immense. A very wide open space was kept round the gallows by the police, but beyond this the concourse was dense, stretching up beyond St. Sepulchre’s Church, and far back almost, into Smithfield—a great surging mass of people which, in spite of the barriers, kept swaying to and from like waving corn. Now and then there was a great laughter as a girl fainted, and was passed out hand over hand above the heads of the mob, and then there came a scuffle and a fight, and then a hymn, and then a sermon, and then a comic song, and so on from hour to hour, the crowd thickening as the day brightened, and the sun shone out with such a glare as to extinguish the very feeble light which showed itself faintly through the glass roof above where the culprit lay. It was a wild, rough crowd, not so numerous nor nearly so violent as that which thronged to see Muller or the pirates die. In one way they showed their feeling by loudly hooting a magnificently-attired woman, who, accompanied by two gentlemen, swept down the avenue kept open by the police, and occupied a window afterwards right in front of the gallows. This temporary exhibition of feeling was, however, soon allayed by coppers being thrown from the window for the roughs to scramble for. It is not right, perhaps, that a murderer’s death should be surrounded by all the pious and tender accessories which accompany the departure of a good man to a better world, but most assuredly the sight of public executions to those who have to witness them is as disgusting as it must be demoralising even to all the hordes of thieves and prostitutes it draws together. Yesterday the assembly was of its kind an orderly one, yet it was such as we feel grateful to think will under the new law never be drawn together again in England. Barrett’s execution was the last public hanging to take place in England. Until their transfer to the City of London Cemetery, Michael Barrett’s remains lay for 35 years in a lime grave inside the walls of Newgate Prison. When the prison was demolished in 1903 it was taken to its present resting place. Today the grave is a place of Irish pilgrimage and is marked by a small plaque. After the explosion the Prime Minister Benjamin Disraeli advocated the suspension of the Habeas Corpus Act in Britain, as was already the case in Ireland. Greater security measures were quickly introduced. Thousands of special constables were enrolled to aid the police and at Scotland Yard a special secret service department was established to meet the Fenian threat. Although a number of people were arrested and brought to trial, Michael Barrett was the only one to receive the death sentence. He can hardly have imagined that the task would take another 150 years or so. Ah, the great British public on holiday …. someone shoot me now. I am indebted to my old friend and regular contributor to Wellthisiswhatithink – Richard Ember – for this wonderful list of REAL comments received by Thomas Cook from complaining British holidaymakers. Merde alors. No wonder Australians call the Brits “Whingeing Poms”. A tourist at a top African game lodge overlooking a waterhole, who spotted a visibly aroused elephant, complained that the sight of this rampant beast ruined his honeymoon by making him feel “inadequate” . A guest at a Novotel in Australia complained his soup was too thick and strong. Then again, he was inadvertently slurping the gravy at the time. Oh no, they are adding to the gene pool. God help us all. Get on board this one before everyone is talking about it at the water-cooler tomorrow. It’s an absolute fooking cracker … this brilliantly funny piece will go viral like Asian flu in a leaky sauna. Congratulations, and well done all concerned. Just bloody superb. Jealous or what? It certainly seems so. Coming on top of losing the appallingly mis-handled referendum on PR for the UK Parliament, they also recently lost Council seats in the UK by the bucketload, confirming that it is they, rather than the majority partner in the governing Coalition – the Conservative Party – that is wearing the opprobrium of the public for the austerity measures currently wracking the country. From smiling chumminess in the garden at No 10 with his new mate David Cameron to contemplating the worst Council election results in his party’s history – is this mid-terms blues or is the party really over for Nick Clegg? As nobody ever expects the Tories to do anything but ruthlessly “cut, cut, cut” when they are in power, (especially when they inherit Government from an utterly profligate and incompetent Labour Government), and the Liberal Democrats have for years portrayed themselves as nice, warm, wooly middle-class people who are in favour of just about everything sugary and nice and against anything nasty and pooh-bum-ish, then when they were pitchforked into the maelstrom of handling an economic crisis this outcome was, of course, utterly predictable. And he was spot on. You think London is bad? In Edinburgh (where the Lib Dems were the largest party until Thursday), one Lib Dem candidate received fewer votes than “Professor Pongoo, the Six-Foot Penguin”. Well, I have endured some pretty awful election results as a Liberal in my time. However, I am pleased to say I was never beaten by a Six-Foot Penguin, no matter what his level of academic achievement. It reminds one fearfully of the wonderful Monty Python “Election Night Special”. Eerily prescient. Anyway, since almost the very day that the deal was done between Clegg and Cameron and the Coalition came to power, worried Lib Dem campaigners with generations of experience have been tearing their hair out to convince the left-of-centre party’s central leadership that they need to be effectively – note, effectively – differentiated from their bigger Coalition partners or inevitably face an electoral backlash of considerable proportions. The problem is, the Lib Dem leadership (with a very few exceptions) generally seem to show every sign of being perfectly convinced that the Government’s parsimony is the only way forward for Britain, when what was needed, of course, was an intelligent re-direction of spending priorities away from massive, flabby bureaucracy but back into the economy, to ensure adequate investment in national infrastructure which would duly trickle through to a variety of private enterprises. Yes, the country must live within its means, or at least, very close to them. Ultimately, all countries must. However, there was and is still a deal of work to be done deciding exactly what that entails. Economies are like hungry bellies – they need feeding or they grind to a halt. Private business just doesn’t pick up the slack. Sticking up a few stadia for the upcoming Olympics will not cut it: on the basis of its transport infrastructure alone, for example, the UK lags far behind its European competitors. What was needed was a measured, thoughtful re-direction of investment. What Britain got was a wholesale panic shut down of Government spending. In short, Clegg has singularly failed to convince anyone that his party is doing a smart job of ameliorating the Government’s excesses, or of creating smart outcomes that lock in a future for Britain as an innovative, manufacturing nation. He is now a figure of sarcastic fun, and electorally tainted – probably, in my opinion, damaged goods beyond repair. There will be a gradually growing pressure for change within the party from the “ABC” tendency – “Anyone But Clegg” – not that many of the leading Lib Dems look well poised to take over. In the historic scheme of things, the Lib Dems will recover from this experience – eventually – although they may have reached their modern high water mark at the last two general elections. In future, what positive effect they have on legislation is unclear, and probably subject to the concomitant electoral success of an eclectic bunch of nationalists, greens and anti-European bombasts, who will all make uncomfortable ginger-group colleagues. In our opinion the Lib Dems should have resisted joining a coalition and supported legislation on a case by case basis, playing honest brokers between the two major parties, and demonstrating what it is that makes them different from the big boys. Yes, it would have been messy, untidy and complicated, and the arrangement would have been roundly criticised for not being “stable” enough. But on the other hand the British public might have learned something about non-majority Government, (as Australia has in the last two years), and they would have kept their soul, and their uniquely independent and refreshing view of the political landscape in the UK. I know I will be accused of 20-20 hindsight, but I did say it at the time. In the end, though, the lure of the Government benches was too strong. Being treated like grown ups for the first time in three generations was a heady brew. Sadly, though, the hangover may go on for a very long time.